FPCC has executed post-tensioning work in many different type of bridges, such as box girders, I girders, cantilever & segmental construction etc. FPCC has been taking on challenging projects in segmental construction for almost over 3 decades. 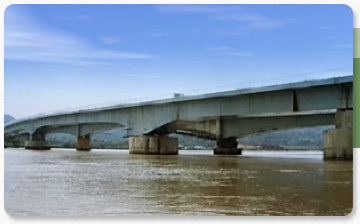 The company had the rare privilege of being an instrumental part of the first bridge in India constructed using the segmental construction technology, The Ganga Bridge in Patna, in 1974.